Dealing with anxiety is a challenge so many of us face at one time or another. The main driver of anxiety as most of us may already know, is overthinking. Panicking about what other people are thinking or worrying about what “might” happen in the future. The thing is all those things you worry about, that lead to your anxiety, might never happen! As for what other people think, can you really impact that? Should you really invest so much of your time worrying about something that you have absolutely no control over? 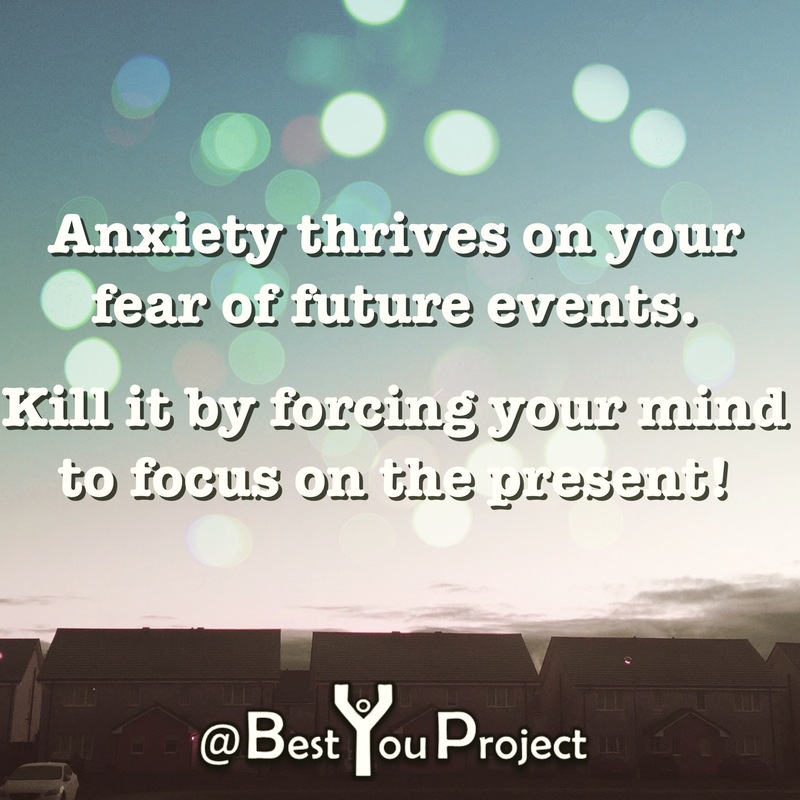 You can give yourself relief from the anxiety by focusing all your energy on the present. There are many ways to do this, breathing being the easiest of them all. Just close your eyes and take a deep, slow breath. Focus on how the air fills your lungs and how your body adjusts to let the air in. The chest puffs up, the diaphragm lifts, your stomach gets pulled in. Count each breath in and each breath out. As you breathe out, focus on the feeling of the air passing your lips, how your chest lowers and your stomach slowly returns to normal. Keeping doing this until you relax. There are many other ways to kill your anxiety and bring yourself back to the present. Focus on the feeling and movement of different parts of your body, pick one and focus on how it feels. Feel the weight of your foot on the floor or your back resting against the back of the chair. Try clenching your fist as tight as you can, keep squeezing until you feel your whole arm tensing up then slowly start releasing. Do this numerous times until you feel the anxiety pass. Try massaging the meaty part of your hand at the base of your thumb with the index and pointing finger of your opposite hand, focus on how it feels. Find the pressure point, you may even have knots there, work on it until it loosens. Download a beginners meditation app and follow the simple instructions. Basically do whatever it takes to realise the only moment you need to concern yourself is this one, this one right now. You should not be in immediate danger, deal with the future challenges when they arrive, not before. Get present, enjoy the moment. Why not join our journey and go after the Best You possible? Previous Post This Social Snacking Diet is Drowning my Happiness! Next Post Stephen R. Covey – Live, Love, Laugh, Leave a Legacy. Great advice Scott. I’ve found that really focusing on my breathing helps. There’s a few suggestions that I have not tried to date which I will perform. Good to find out which method works best!